At the weekend we had lovely, sunny, Summer weather. 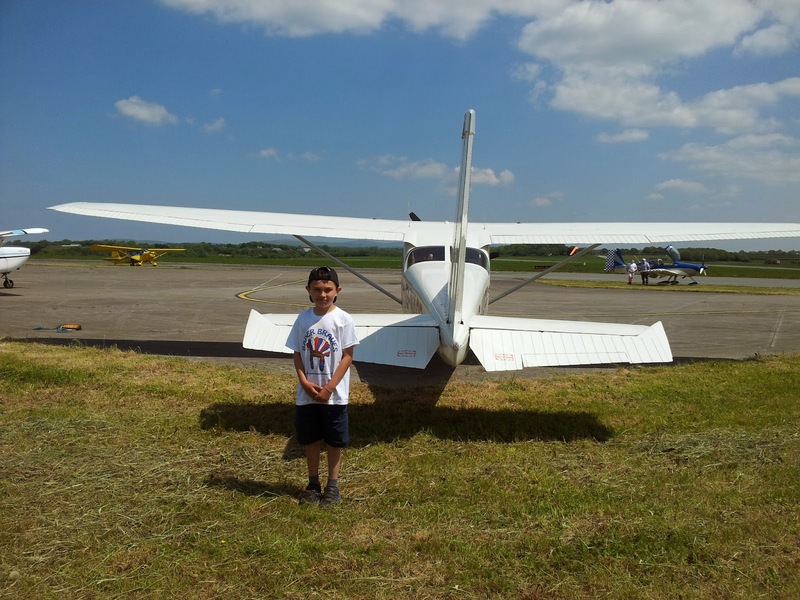 We also had a very busy weekend with Cub Camp, a Plane flight and a visit to Colby Woodland Gardens. We had planned to do our shop on Sunday before our day trip. 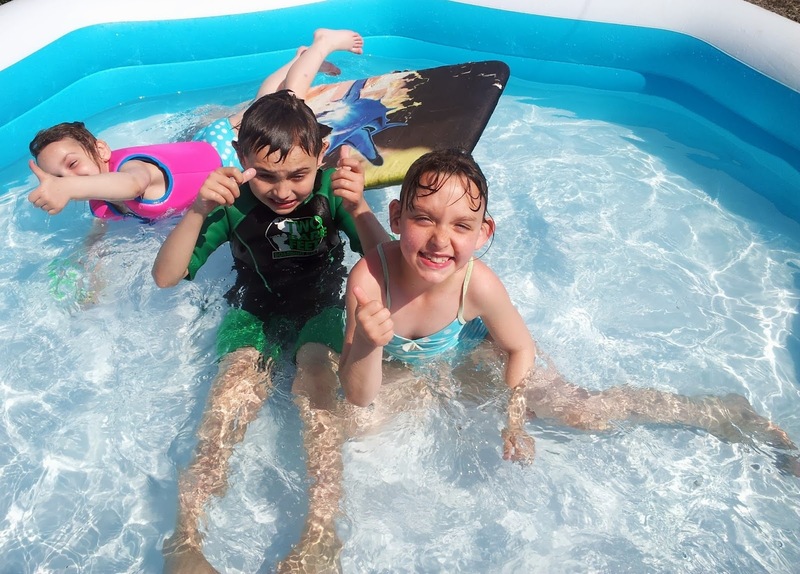 Then, when we returned home we were going to have a family night BBQ and cool down in the family paddling pool. However, it was too hot to take the kids shopping so we had our day trip, a quick tea and then played in the pool. As the weather was not meant to change until Tuesday I promised them that we would postpone our family BBQ until Monday evening. But no! By Monday, Winter weather had returned so we decided to shop for a family night in instead as the weather was more suited to snuggling under the quilt with a DVD than donning our swimming costumes in the garden! Therefore, after swimming lessons on Monday, we went to Tesco Haverfordwest. 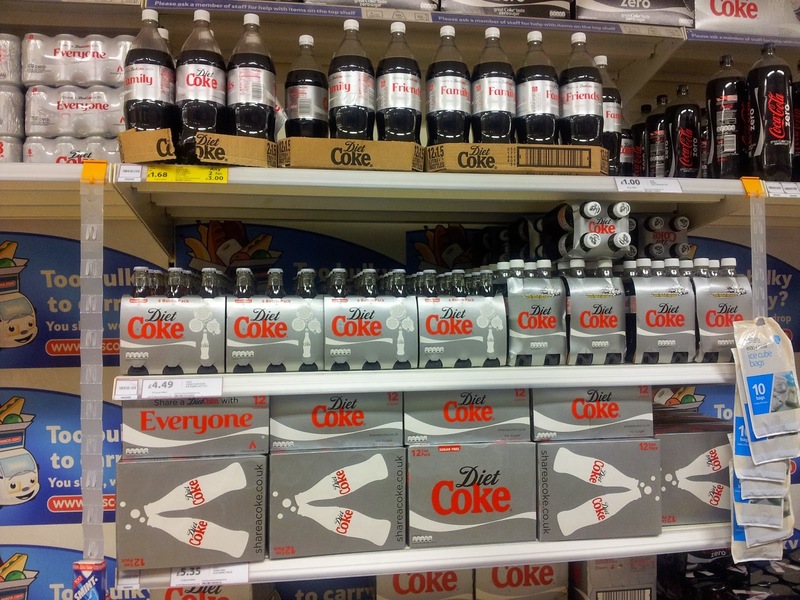 You can see our shopping story in this Google Plus Album Coke Sharing Shop. We came home and had a quick light tea to save room for our snacks! 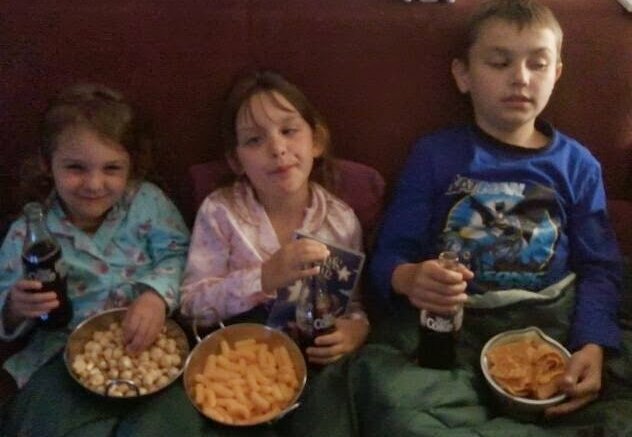 The kids loved getting their Movie time snacks ready. Izzy’s choice was grapes, Caitlyn chose Pop Corn, Rebecca chose Cheese Puffs and Danny chose Doritos and dips. We then shared them all. I wish I’d bought some Peanut M and M’s for myself as they are my favourite Movie Snack. However, as I didn’t pass them in the shop, I forgot to buy any. 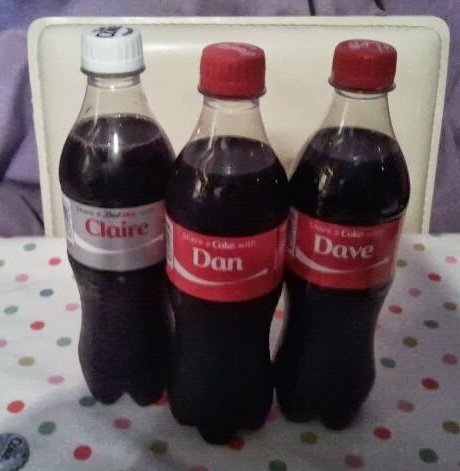 I found a “Dave” and “Claire” Coke Bottle on our shop. My Mum found the Dan bottle and gave it to him. I love the “Share a Coke” Promotion. It’s lovely to see friends and family member’s names on the bottles. 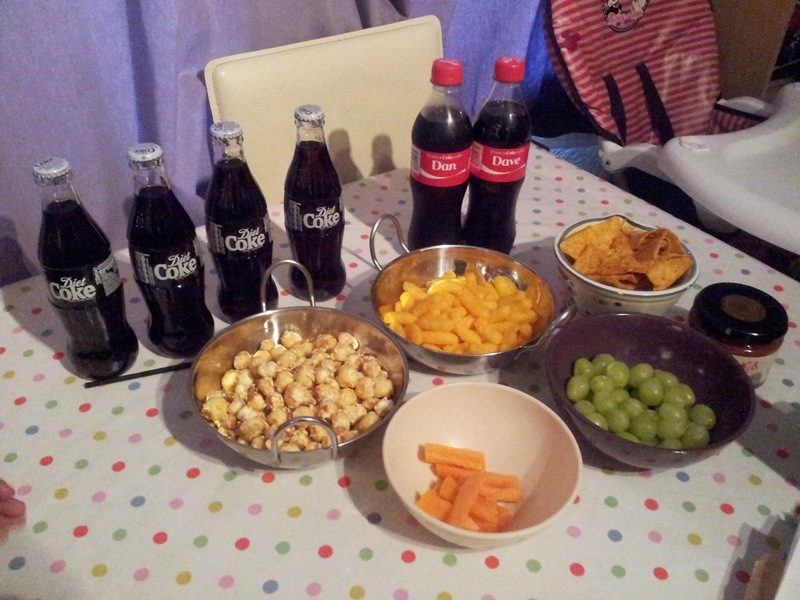 We always drink water usually, so whenever we have sparkling drinks and Coke, it is extra special. 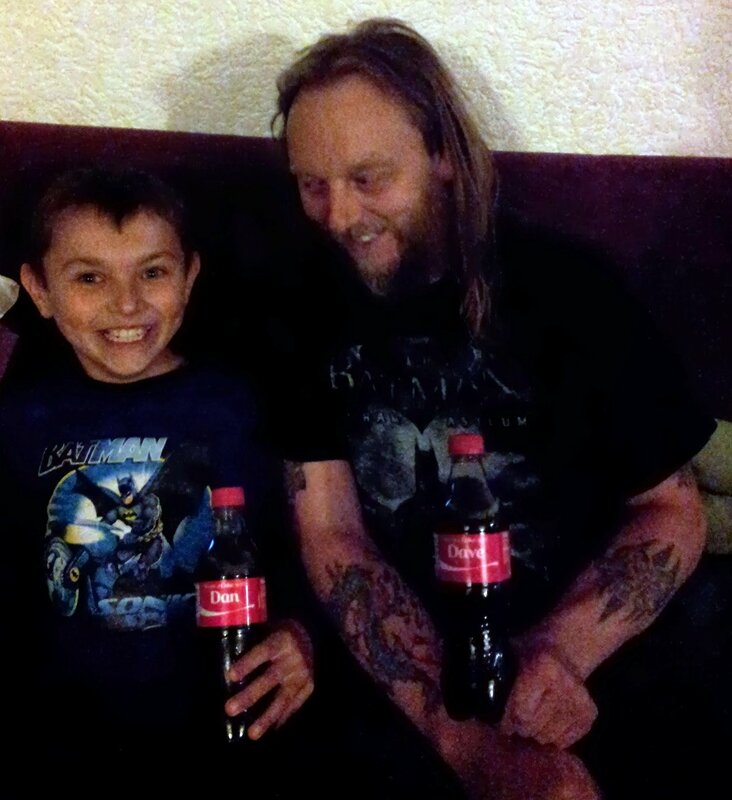 We also couldn’t wait to sip our ice cold Diet Coke in glass bottles. I usually only buy these at Christmas as they are more expensive, but they are lovely for a treat. I love how you can use the glass bottles after use. We are going to make lava lamps, musical instruments and single flower vases with our bottles. 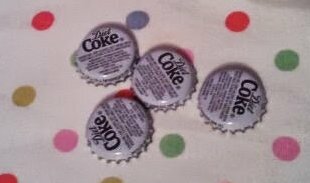 We will also find a crafty use for the bottle tops too. If you don’t have another use for your glass bottles, just pop them in the Glass recycling. We settled down to watch our DVD, Laura’s Star, as the girls enjoy reading the book. 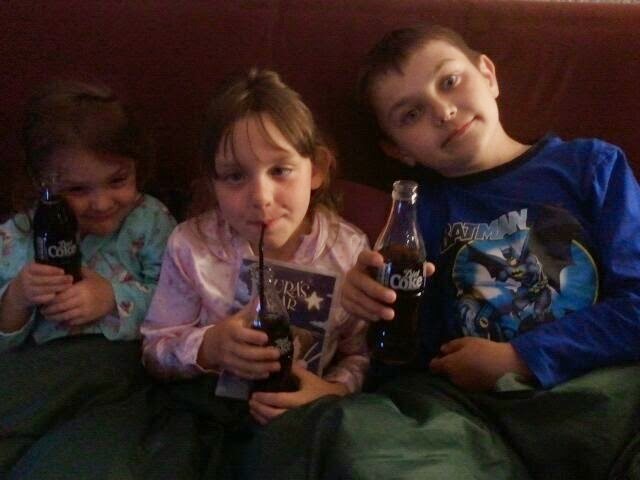 We snuggled up on the settee under the duvet with our Diet Coke bottles. It was so relaxing and refreshing. Then we enjoyed our snacks. Izzy enjoyed her bowl of grapes and some carrot sticks. She loved being kind and offering us all some. 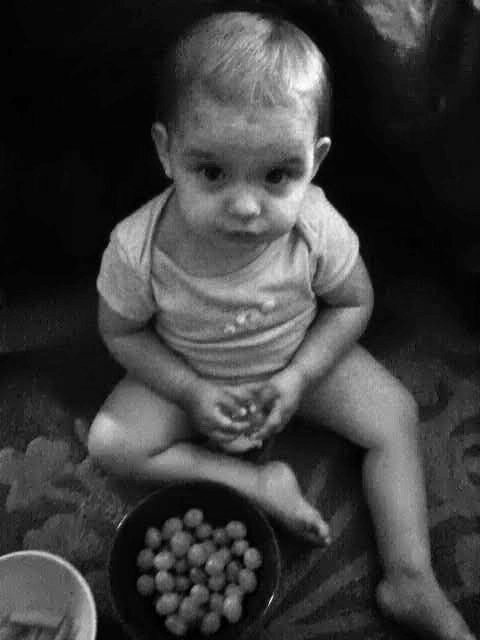 She wasn’t banished to the floor, but during DVD time she likes to sit on the floor and eat or play for as long as she can. Then as she starts to feel tired she will climb up on the settee and choose either me, Dave or one of the kids to cuddle up too and fall asleep. 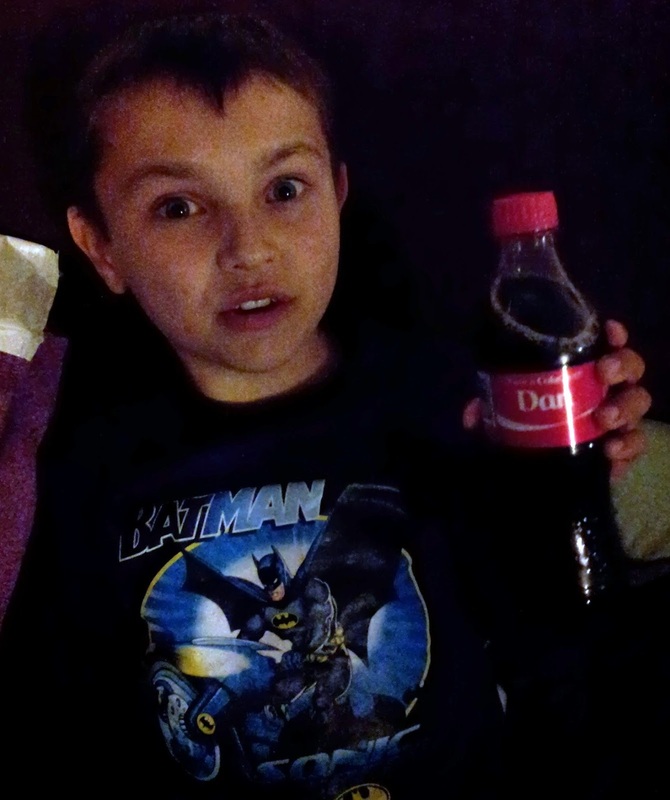 Danny with his “Dan” bottle of coke. Dave and Danny were laughing as when Dave came home from work they realised that they were both wearing “Batman” clothes! Dave a t-shirt and Danny wearing his pyjamas. We had a lovely fun, relaxed, DVD night and then it was time for a story and bedtime. Have you managed to find your own named Coke Bottle yet? If your name is not one of the 150 featured on the Coke Bottles, then you can create your own can or one for a Special Friend on Facebook. We also bought the 1.5 litres “Family” and “Friends” bottles so we can save these for our next family occasion- hopefully the Sun will come back for a BBQ!